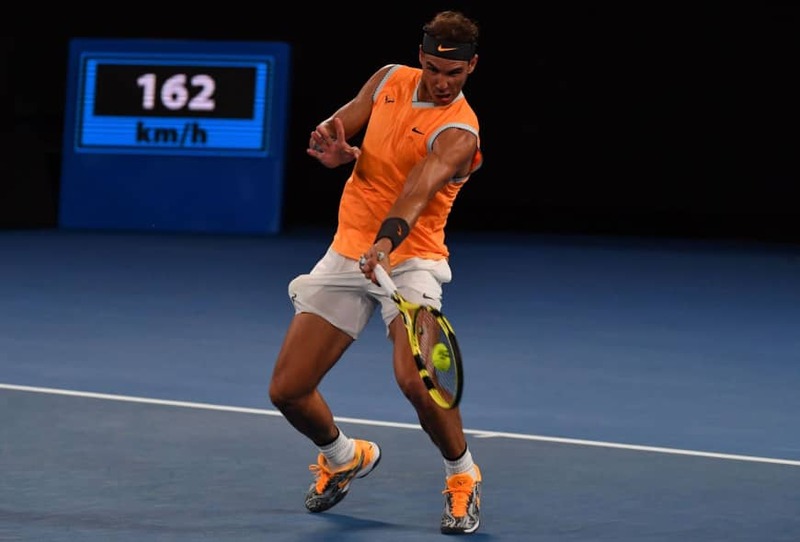 MELBOURNE, AUSTRALIA - Rafael Nadal said he has surprised himself with his outstanding level of tennis at this year’s Australian Open after crushing Stefanos Tsitsipas in the semifinal on Thursday. The Spanish world No. 2 handed the rising star a ruthless tennis lesson 6-2, 6-4, 6-0 in just 106 minutes. Greek 14th seed Tsitsipas had enjoyed a fairy-tale run to his first Grand Slam last four, including a win over Roger Federer, but found Nadal in top form in the Spaniard’s first tournament since the U.S. Open in September. “Is not easy to be back after four months, five months, and play the way I am playing,” he said after undergoing ankle surgery in his extended offseason. 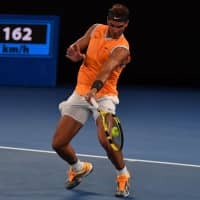 “Of course, I didn’t expect that at all,” Nadal told reporters after setting up a final Sunday against either top seed Novak Djokovic or Lucas Pouille. “I believe that when you are older, you lose less the tennis when you are playing less. The No. 2 seed has not dropped his serve for an astonishing 63 straight games and has not lost a set. “I played well, of course. Have been playing well during the whole event. Every match more or less I think I did a lot of things well. Tonight was another one,” he said after a breathtaking display of almost perfect tennis. “Probably the backhand was better today than the rest of the days. Tsitsipas, 20, had been hailed as a new young Greek god of tennis after beating Federer, but his ascent to the summit of his personal Olympus was comprehensively halted by the colossus called Nadal. “He has everything to become a multi-Grand Slam champion,” Nadal said graciously of the young Greek, who enjoyed a breakthrough 2018, winning the ATP Tour NextGen Finals. At 1-1 a rasping double-handed backhand and a forehand winner gave him a first break point which the Spaniard duly converted. Another followed as he cruised to the set just 31 minutes.